Blame it on the economy, layoffs, or bad lending, but DFW's housing bubble is pretty much burst. More than 5,000 homes are now available during next month's foreclosure auctions, nearly matching February 2008's record of 5,315 homes posted in the sell-off. 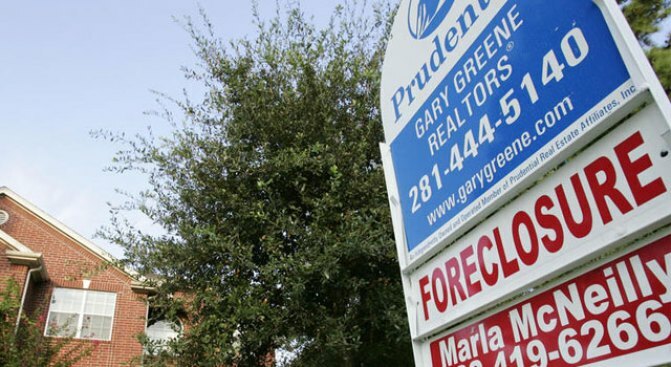 Addision-based Foreclosure Listing Services was quoted in the Dallas Morning News saying, the amount of homes up for foreclosure next month is 30% higher than one year ago. While it's a tough time to be a homeowner, one wonders why folks with remaining credit aren't snapping up some of these ridiculous deals? Just take a look at some of the foreclosure listings to find some homes going for close to half their value.